I had a surplus of egg yolks in my pastry class last week and a bounty of limes from our lime tree, so, what better thing to make than a curd. 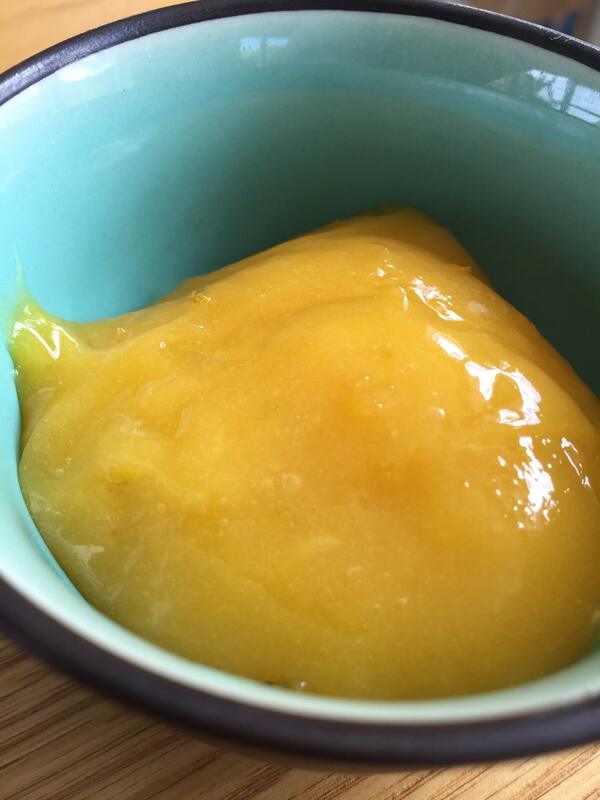 Lemon/lime curd is quite easy to produce and lasts really well in the fridge. Use it in a key lime pie, tarte au citron, lemon meringue pie or just put lashings of it on fresh bread or morning toast. I like my curd to be not so sweet so have reduced the sugar a bit, if you like a tart tasting curd add more juice to the mix. Finely grated zest of 3 lemons or limes (I use a microplane). Try to ensure you only get the zest and not the white pith as this is bitter. Put a couple of 200ml glass jars in the oven and turn it on to 100ºC, heat for 15 minutes. Place the sugar, butter, juice and zest into a stainless steel bowl. Fill a pot with some water, the pot should be large enough to accommodate the bowl snuggly and securely on top. Bring the water to the boil on the stove and gently stir the ingredients together in the bowl over the pot of boiling water. The water should not touch the bottom of the bowl. Cook this mixture to 75ºC, the sugar should be dissolved and curd should be smooth and coat the back of a wooden spoon. Run your finger over the back of the coated spoon and if the strip from your finger remains then the mixture is ready. Pour the mixture into the warm jars you’ve sterilised in the oven, cool to room temperature then place into the fridge. It should keep for weeks in the fridge, if it lasts that long!